When you're selecting an anniversary gift for her, you want to choose something that she'll be able to wear often. After all, you want her to look back and remember the gift you gave her in honor of your seven years together. The John S Brana Hammered Copper Cuff Bracelet is a bracelet that she can show off in an endless number of ways, making it an amazing present for a year 7 anniversary. With its chic hammered finish, this bracelet is dressy enough for night and special occasions, but the simplicity of the copper metal is also great for day and casual affairs. 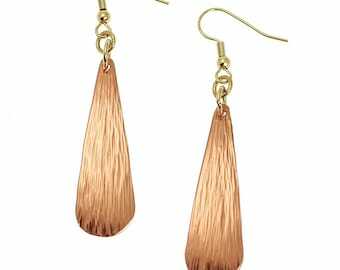 She can wear the copper anniversary gift alone or mixed and matched with other bracelets. When you purchase the John S Brana Hammered Copper Cuff Bracelet, you can choose from five different sizes, ensuring that the 7th anniversary gift will fit well. You even get a gift box to wrap up or place in a gift bag to delight her for the occasion. 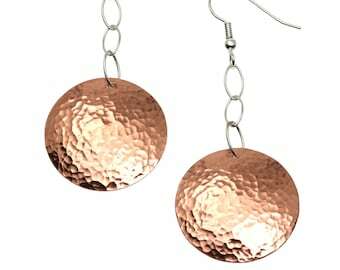 Store your copper jewelry in a re-sealable plastic bag to prevent air from tarnishing it when you aren't wearing it. 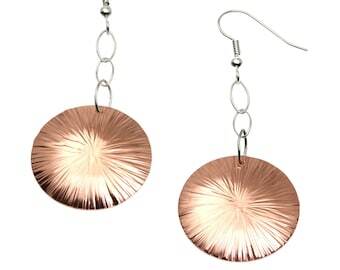 Make sure your jewelry is clean and moisture-free before storing. Body chemistry, sweat, soaps, lotions, makeup, sunscreen, or bathing/swimming will accelerate oxidation/patina and cause skin to turn green, which is not harmful to one’s health. 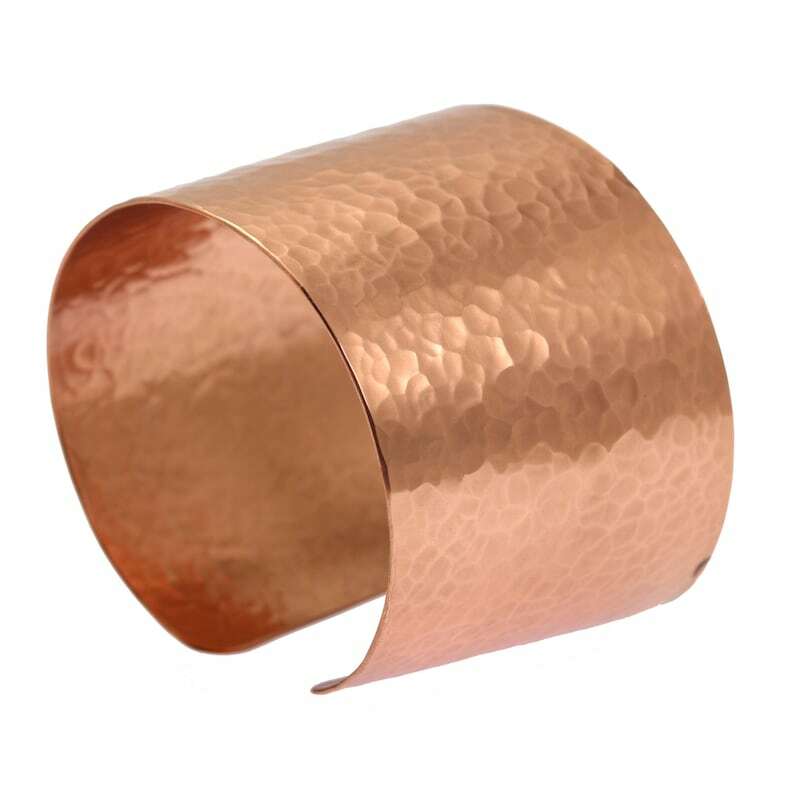 Un-coated, the John S. Brana Hammered Copper Cuff Bracelet's luster and shine can easily be cleaned and maintained with a mild Brass or Copper metal cleaner (test first). Apply with a soft toothbrush or cloth, gently scrub, then rinse thoroughly with warm water, and dry/buff with a soft cloth. A care and cleaning instruction card is included with purchase. Beautiful item and very fast shipping!